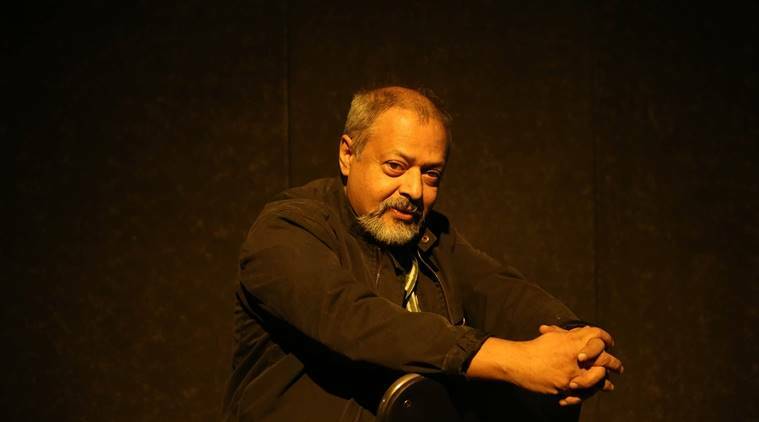 Theatre-maker and story-teller Priyanka Babbar caught up with Sunil Shanbag between rehearsals and shows to talk about directing this year’s DSM Production – Rakt Kalyan, his theatre practice and a few things in between. 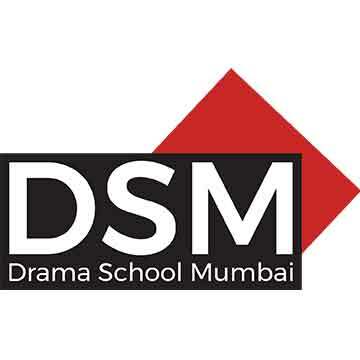 PB- How was the directing experience at DSM? SS – Interesting, exciting… very rigorous and very demanding. On day one itself, I made it clear to the students that we are not going to hide behind the fact that this is a student production. The text is challenging and, frankly, old fashioned. So, it was tough to get them excited about making it work. But once they got their teeth into it, they really gave it their all. I worked more as a teacher than as a director. Overall it has been a very, very happy experience for me. PB – Tell us about the rehearsal process. SS- In December, I did a two week Scene Study module with the students. Usually one works with a variety of scenes and styles, but for Rakt Kalyan the context was the most important. It’s historical – set in the 12th century. Yet there are strong contemporary elements in it. It was important for the students to understand the connect between then and now, particularly with regards to the Bhakti Movement. Rakt Kalyan tells the story what happens over a few months in the kingdom of Kalyan. The main characters are Bijjala and Basvanna, and it tells us about their ideologies. It was important to understand that the incidents in Kalyan were not isolated. It was happening in the rest of India, 300 years prior and then for another 400 years post that. The whole Bhakti tradition come out of that. It was a response to the increasing rigidity of Brahmanism and isolation of lower castes. The Bhakti tradition was not just anti-caste, but it was also about gender equality and resistance to Sanskrit as the language of power. It’s very interesting that recently the government has removed critical chapters that talk about caste oppression from history textbooks. The first two weeks were spent in getting the students to research the Bhakti Tradition. All of them come from different parts of the country – Haryana, Bengal, Gujarat. So they all went back, looked at manifestations of Bhakti through songs, poetry in their own parts of the country and brought that back to the table. One of the students has a background in development and presented a wonderful two hour paper on the Evolution of Caste and Reforms and Resistance in Caste Through History. This view of history and this way of looking at history is not often taught in schools. In fact, it’s very interesting that recently the government has removed critical chapters that talk about caste oppression from history textbooks. We also worked on the text, to read a scene physically, comprehend and deconstruct it. Every morning, after their body conditioning sessions, one group would sit with the AD, Abhinav Grover. He would just get them to read read read… to get comfortable with the language. Once we started rehearsals, I blocked scenes very quickly, we were having run-throughs almost a week before opening night. It was quite intensive and I’m sure some of it will stay with them. 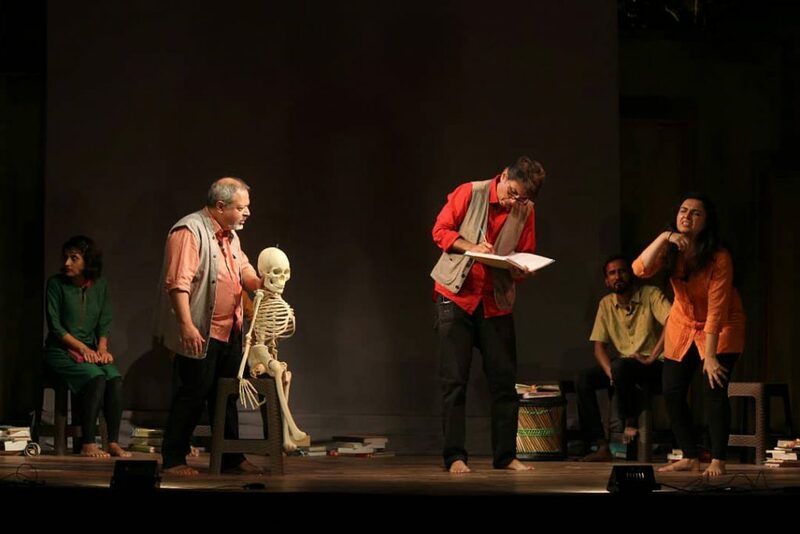 PB – There has been a flow of modern contemporary forms of theatre from across the world in India now – movement based, physical theatre, masks and puppets. Your strength being text-based work on stage, have you tried to incorporate any of these in your work recently? And how? SS – I think everybody has their own style of theatre that they use to tell their stories. For me, it works the other way around. The text will suggest what I should do with it. I won’t necessarily use the same form every time, but the text will tell me what to do. For instance, the text of Words Have Been Uttered told me to do it completely differently, which is almost non-performative in a conventional sense. The text of Blank Page seemed to demand movement. Also, because it was poetry, and I felt that is very hard to understand all the layers of poetry just through words. I don’t go into a production thinking of form. It doesn’t work like that for me. But at the same time I’m extremely cautious about being derivative in my work. So just because something is the trend and fashionable in another part of the world, I might watch it for itself and enjoy it, but I have to feel that it has to organically fit into what one is trying to do. I truly believe that everything has very strong cultural context and its important to keep that in mind while creating work. PB – What do you make of the recent conversation around plagiarism? Also, that conversation is the kind that a more commercial producer would get into. Because we know that the intent of making theatre there is different. In our kind of theatre I don’t even think this should ever come up, because why are we then even doing theatre? Theatre is a safe space in fact to be original. I can understand where the stakes are huge and high, and crores of rupees are involved, that you’re really worried about your image. It doesn’t justify it, but I can understand it. But theatre is in fact a very safe place, where your can actually take the risk of being original and perhaps failing, or being original, and perhaps breaking new ground. So I find this a bit baffling. And as someone pointed out, yes it’s been there before, it’s there now, but in the way that it’s being discussed, it really doesn’t interest me. PB —Your own works have tread the path of controversy. How did you deal with it in those days and what would you say to all of us to dealing with it in today’s times? SS – You don’t set out to create controversy. You do what you have to do and believe in, and in the process, if it becomes controversial, or a subject of debate and discussion, you have to deal with it. And there are many strategies that can be adapted to deal with it. One strategy can be pragmatic, like don’t be stupid and do something that you can’t control or deal with. Is there another way of saying the same thing, which is less in your face? Can you build a support structure around yourself, that should something go wrong, there are people who will support you? Why do you do a particular text? What is it that it is allowing you to say? But at the heart of it is, that there is something that you want to say. Find your voice. Why do you do a particular text? What is it that it is allowing you to say? It’s probably written by somebody else, which is why you’ve chosen it. Don’t be satisfied by saying you chose it because I liked it. There is always more to that. Also, I think this is of concern to those who pursue whatever they do with a certain rigour and desire to express honestly what they feel in a way that is not just surface. I think one of the biggest dangers that we face is the general atmosphere of anti- intellectualism. We live in a time where the mainstream tends to be more superfluous. And the entire system pushes us to operate at a very simple surface level. This is a pre-condition, a certain flattening of everything. We all become consumers of the same goods wherever in the world we are. Somebody eats a McDonald burger in India, or in Peru or wherever, they all eat the same damn thing. These are all strategies to create huge global markets and they call it globalisation. So what happens is that the local, culturally nuanced and specific, tend to get lost. Unfortunately, unless you are nuanced, unless you are culturally specific, unless your are in many ways strongly local, your work will not have depth. That’s why gibberish is so popular. First thing you do is, remove language, secondly you remove local culture. That’s the first challenge we face. Secondly, of course is the narrowing acceptability of diverse opinions and views of life. Tolerance is narrowing to dissent. Where somebody steps up and questions a majority view. I think this is a very deadly combination. So the space for a particular kind of work is getting squeezed. Again, it’s part of a historical process. So you don’t see it personally, you understand it for what it is, and learn from what people have done in the past and try and resist it as best as you can. And you’ll see, that the minute the squeeze is put into place, people respond. And you already see that happening. There is a huge squeeze on spaces where young people can perform and express themselves. What happens? New spaces start popping up, people start doing it in their houses, in little cafes. It’s a response to that. So that way, response will come, and you have to be part of it. PB – Lastly, what do you have to say about the work being made in recent years? SS – I think one of the most exciting developments that has happened in the last 5-6 years is the fact that in Mumbai itself, there are so many women directors and performers. In all of India, I think we have the largest number of women directors. If you make a list , you will see there are hardly any male directors and it is amazing! And these are women directors who are making a mark, creating projects that mean something, which are different. 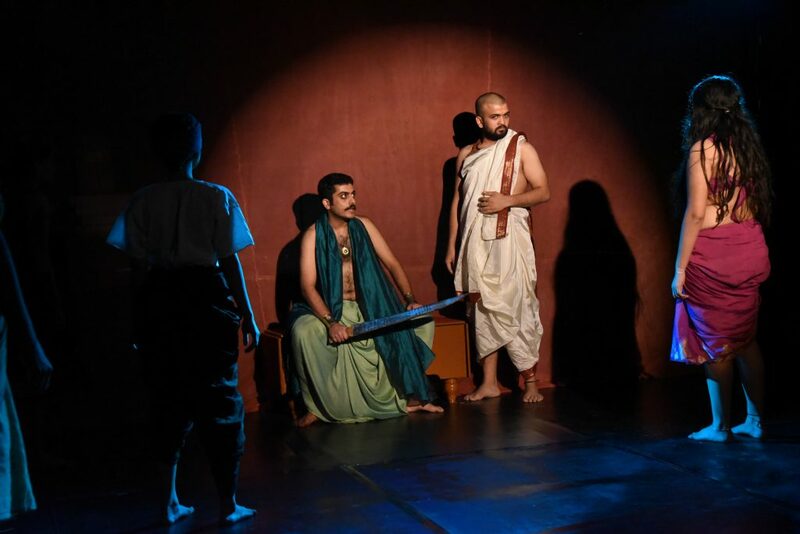 It could range from someone like Purva (Naresh) creating a larger production, to a small scale production by Gurleen (Judge), or Jyoti Dogra who is the director and the performer in her work. But each of them is trying something. What I am hoping that would do is that it would give us a completely different perspective on society, on the way we see things around us. There is interesting work happening in Pune, Bangalore, Delhi, Kolkata , Jaipur. It is good time in theatre. It also means that everybody has to push harder. And I’m sure that will happen.